This city is filled with many historical and modern hotspots. Popular low-cost carrier AirAsia X has launched another new flight to the Land of the Rising Sun, this time to Fukuoka! This marks the airline's fifth destination in Japan after Tokyo, Osaka, Nagoya and Sapporo, as well as its fourth route flying out of Kuala Lumpur. The direct flights from Kuala Lumpur to Fukuoka will start from 28 February next year, flying four times a week. With the announcement of every new route, the one thing we always look forward to is... let's say it together: PROMO FARES! And it's happening again! AirAsia X is promoting launch fares starting from RM199 for standard seats and RM799 for Premium Flatbeds. You can already start booking your flights to Fukuoka on the AirAsia website from now until 9 December for travels between 28 February and 28 October 2019. Now, Fukuoka isn't exactly the first destination you would think of when you consider travelling to Japan. But as it turns out, it's actually a city with many of historical and modern attractions to be explored! Here are some of the top attractions located in Fukuoka. There are more than 150 yatai, or open air food stands, scattered throughout Fukuoka. These food stands are quite possibly one of the city's most important symbols where patrons can enjoy typical dishes like grilled chicken skewers, hot pot, ramen, and more. 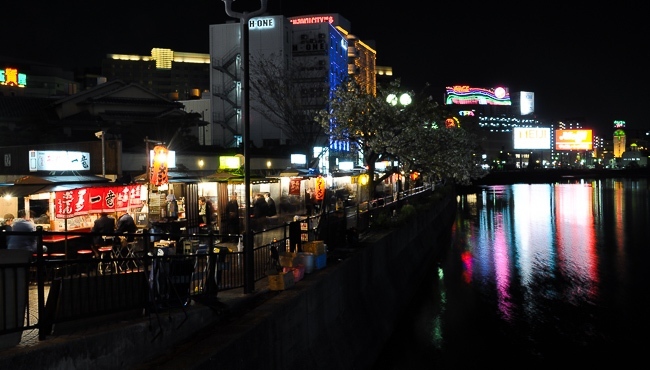 Fukuoka's most famous yatai are located on the southern end of Nakasu Island, where you can find nearly 20 food stalls lined along the river. The beautiful Uminonakamichi (we dare you to say this out loud 10 times in a row) Seaside Park is a public park made up of a few different areas, including flower gardens, playgrounds, an amusement park with ferris wheel, sports fields, large open spaces, and even a water park and a zoo! 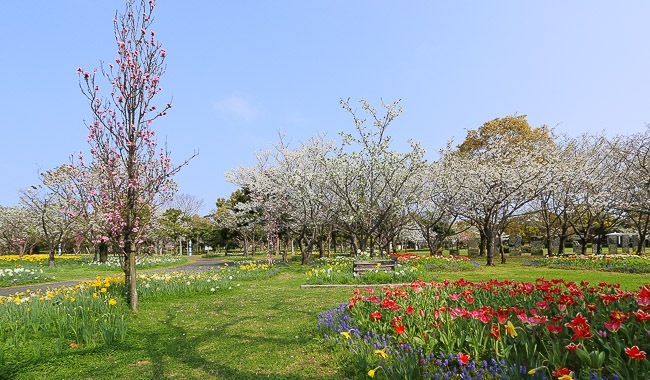 The flower gardens, in particular, have millions of flowers planted across the park, including narcissus, tulips, nemophila, roses, hydrangeas, sunflowers, and more. 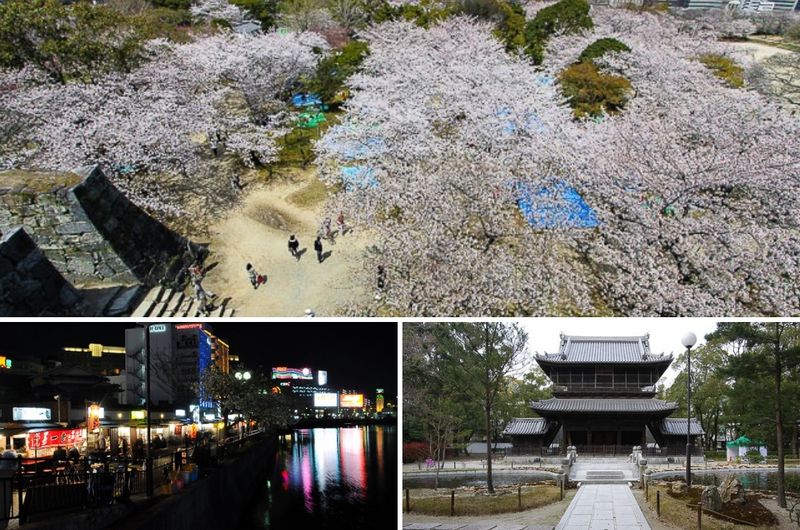 Although the most popular season to visit would most likely be in the spring time, the flowers here bloom in different times of the year, from the middle of March all the way to early Autumn. 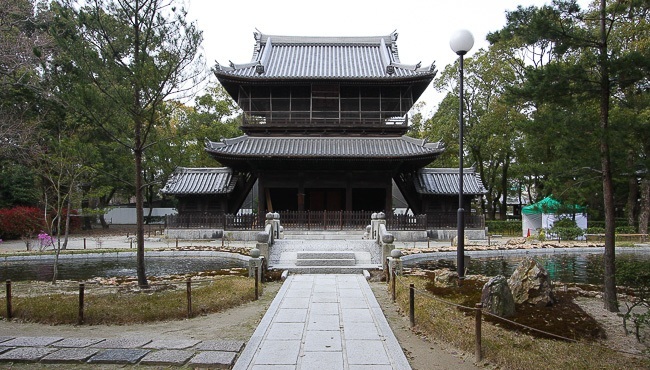 Shofukuji Temple is said to be the first Zen temple built in Japan. Although temple buildings are generally closed to the public, visitors can walk through the temple grounds and admire the buildings from the outside. Just like a typical Zen temple, the wooden buildings here have been destroyed and rebuilt over and over again throughout the centuries. The temple grounds have many gates, but the one that stands out the most is the Sammon Gate, which is situated in front of a small pond and bridge. 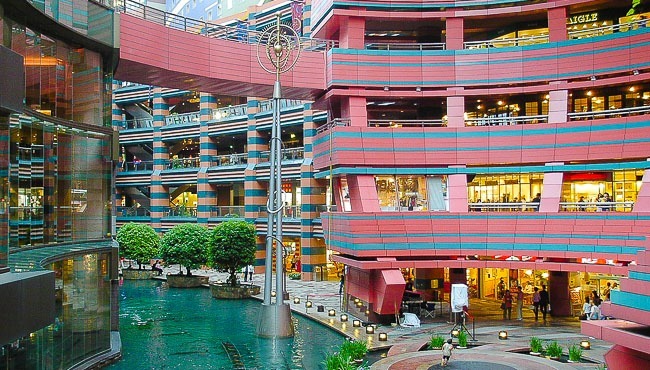 This shopping complex will attract the shopaholics without a doubt. Besides housing more than 250 shops, restaurants, cafes, cinemas and two hotels, this place also has a canal running through the complex. Dubbed 'a city within a city', the five-floored Canal City Hakata was designed to create a spacious atmosphere by incorporating various unique shapes and colours. So, when you're done exploring the outdoors, you can also mark this complex off of your 'To Visit' list. During the Edo Period (1603-1867), Fukuoka Castle used to be the largest castle on Kyushu. However, it was sadly almost completely destroyed and torn down after the Meiji Restoration because it was said to be an unwanted symbol from the past. Although visitors can no longer see the castle in its former glory, the park still attracts people to explore its walking trails, lookout points and ruined walls. 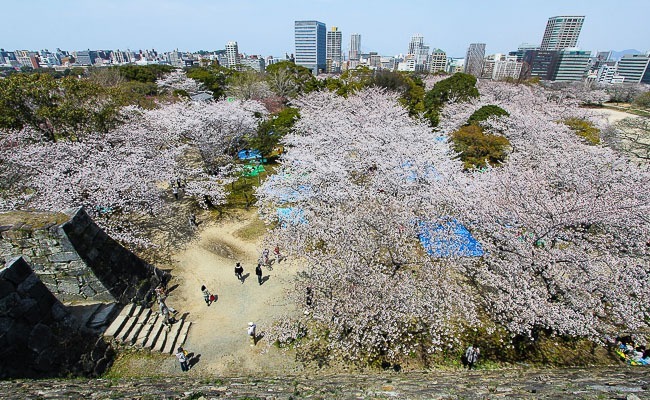 The best time to visit the castle ruins is between late March and early April because this is the time when Maizuru Park transforms into cherry blossom haven. So, what are you waiting for? Book your flights to Fukuoka, Japan now while the tickets are cheap! The Future Is Here: AirAsia Set To Launch Facial-Recognition Check-In Soon!